I was at a client’s house the other day consulting on a sunroom remodel when we both glanced outside to find that it was snowing…AGAIN! It’s been an uncommonly cold winter by Pacific Northwest standards and I think I speak for everyone here when I say that we are ready for spring! 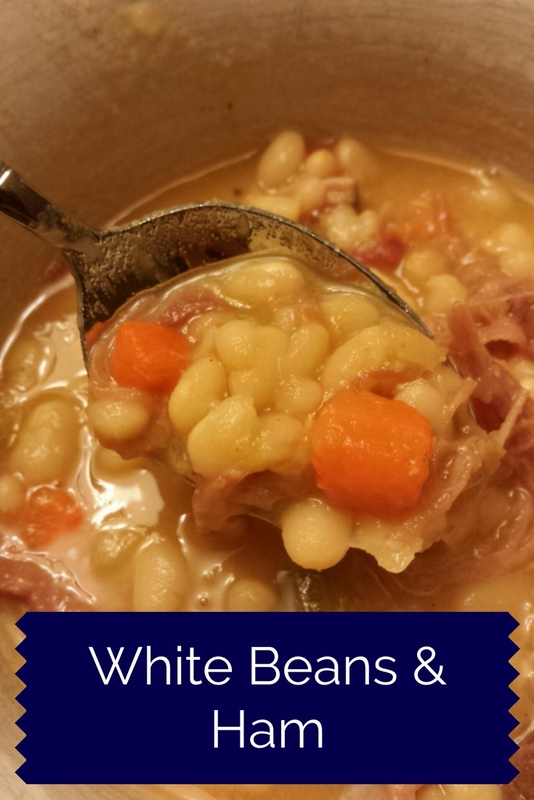 Growing up in California we didn’t have winters this cold but when the temperature would drop, this soul-warming one pot meal is one of the recipes my mom would make. A favorite of mine, it brings back wonderful childhood memories. Comfort food at its best! Start by preparing your beans. You’ll want to sort through them first. It’s rare, but on occasion you may find a small pebble other object you wouldn’t want to end up in your finished product. Next, you’ll need to soak the beans. You can do this one of two ways, either put them in a pot with approximately 6 to 8 cups of water and let them stand overnight (6-8 hours) or you can do what I usually do and that is the quick soak method. To quick soak beans, add 6 to 8 cups of water to the pot, make sure it covers beans completely and goes about 1 inch above them, bring to a boil and allow to boil for 2 minutes. Take off the heat, cover and let stand 1 hour. Drain completely and rinse with cool water. 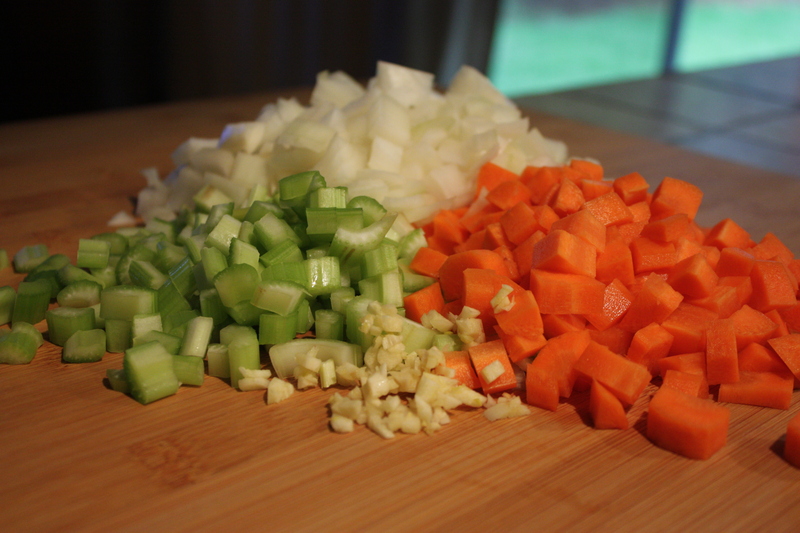 To your soaked and drained beans add the chicken broth, ham bone, onion, carrot, celery, and garlic. 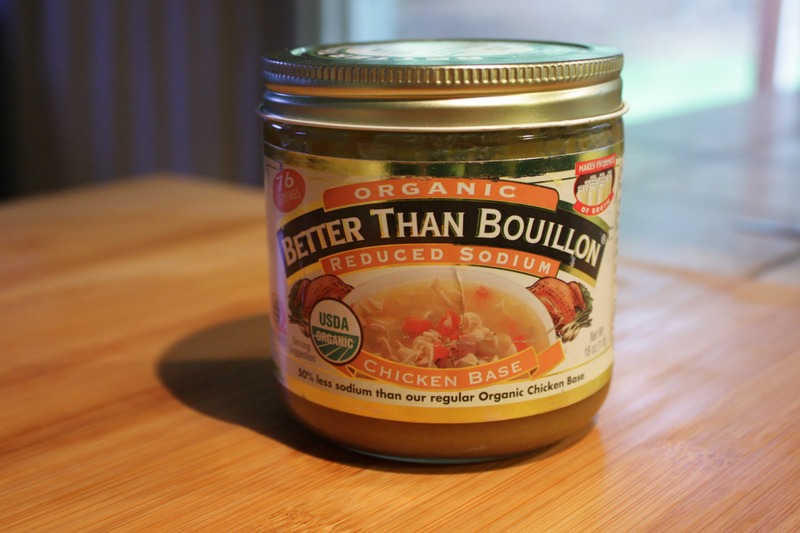 If you don’t have chicken broth and need to use bouillon I recommend Better than Bouillon. It has a savory taste without being too salty. Bring to a boil. Reduce heat and simmer, covered for 1 to 1 1/2 hours. Check on it several times to make sure that you still have enough liquid and give it a gentle stir. 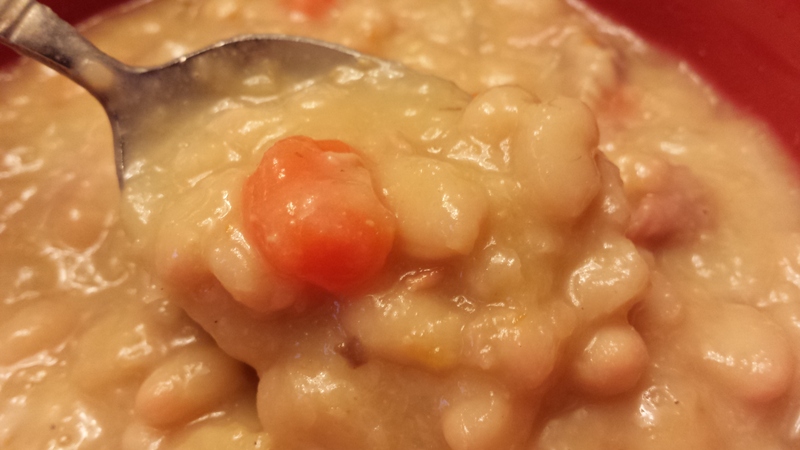 When the beans are soft leave the pot uncovered and continue to cook for 30 minutes to an hour until the liquid has reduced and the beans have thickened. Because you are uncovering the pot you may need to turn the heat up a bit in order to keep a simmer. Stir occasionally. About 15 minutes before you’re ready to serve, remove the ham bone and let it cool enough to handle it. Chop up the ham and return to the pot. Check the seasoning and add salt and pepper if needed. 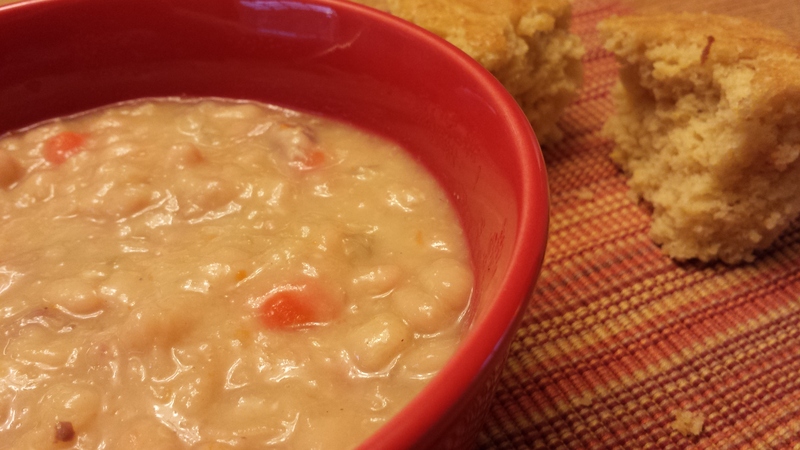 Serve with a fresh salad and a wedge warm cornbread. Enjoy!